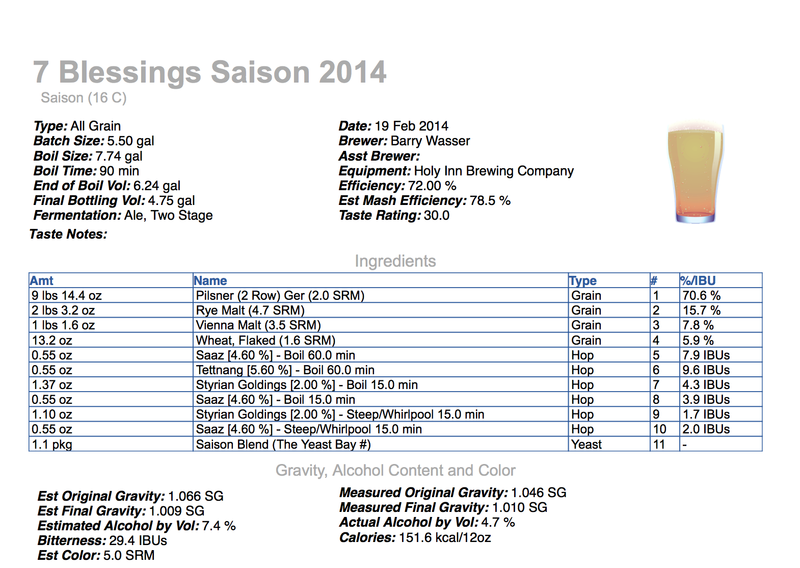 It took me almost 4 weeks, but here’s an update on my Seven Blessings Rye Saison (click here for footage of brew day). First I talk about how primary fermentation went and taste a gravity sample. Then I split the batch by racking it into 2 three-gallon Better Bottle carboys, one of which I add dried apricots and Brettanomyces Bruxellensis to. Hence, this video’s title…Once I bottle the “clean” half of this batch I’ll film and post another update. Cheers! O.G. 1.070, F.G. (post-primary) 1.002, ABV (post-primary): 8.93%. Batch Split: A. 3 gallons w/ 1.25 lbs of dried apricots (rehydrated) and WLP 650 – Brettanomyces Bruxellensis B. About 2.5 gallons – base / “clean” beer. This entry was posted in Homebrewing and tagged American Sour Beers, Apricot Saison, Brettanomyces Bruxellensis, homebrewed saison, Imperial Saison, rye saison, The Mad Fermentationist, WLP 650. Bookmark the permalink. 1 Response to Seven Blessings Rye Saison Update #1: Let’s Get Funky!